With All-in-ones upgrading hardware has always been a pain, shuttle aims to change that with its new somewhat low spec’d XPC P20U. With the ability to take up as little room as possible while still providing a solid experience. Shuttles X50 fanless 15.6″ models have been used for years for this purpose though with the size considered a bit too bulky for some application. Shuttle’s range of models is now being expanded to include another fanless, but considerably smaller, 11.6″ (29.5 cm) version. 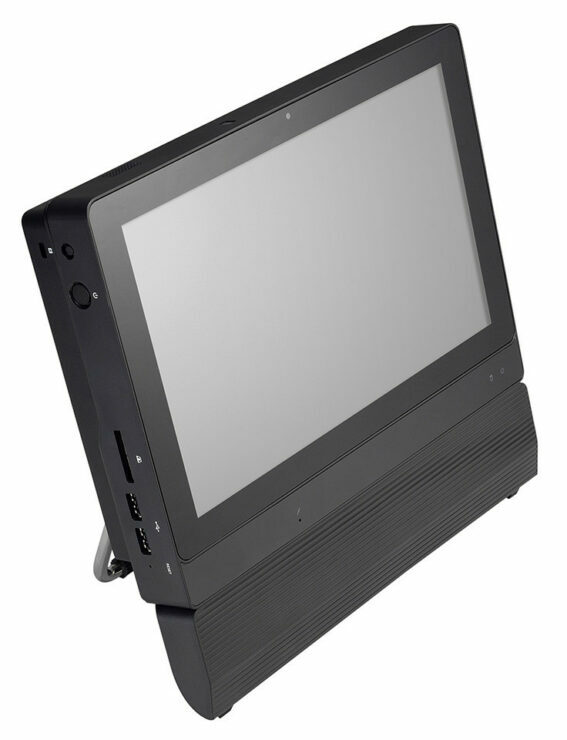 Wherever larger all-in-one PCs are out of place, the XPC all-in-one P20U is right at home. Its external dimensions are just 29.9 x 27.1 x 5.0 cm (D x W x H). If tidied cable routing can be dispensed with, the height can be reduced by an additional 6.8 cm by removing the cable collector box on the bottom of the unit which is new with this model. The display, which is just under 30 cm (11.6″) diagonally, is large enough for common touchscreen applications and the size of many “thin and light” mobile 2 in 1 devices. HDMI and VGA connections are also available to connect a second (and even a third) display for individual content. Gesture-based operation using several fingers (e.g. pinch to zoom) is possible thanks to multi-touch support. The entire front of the unit is protected from dust and splashes of water according to protection class IP54, which also makes it easy to clean. 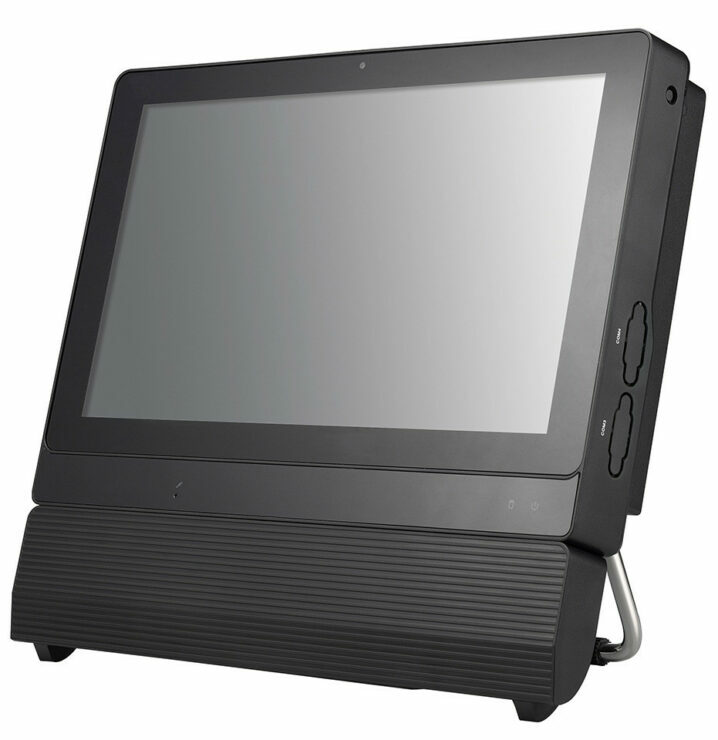 Its hardware features make it particularly flexible for uses like point-of-sale applications, control tasks as well as office applications. The P20U relies on the efficient but still underpowered for real productivity tasks 1.8 GHz Intel Celeron 3865U processor with its two cores and HD Graphics 610 . Two SO-DIMM slots for a total of up to 32 GB of DDR4 RAM are available although I would argue any task that would use that much RAM would be need a much beefier CPU and GPU. An internal USB type A connection, together with the openings for external antennas, provide for a 4G module with especially strong reception, for example. Doing away with fans at all, this model is completely silent, requires little maintenance and is suitable for continuous operation. The P20U comes with a stand which is individually adjustable to the desired angle. 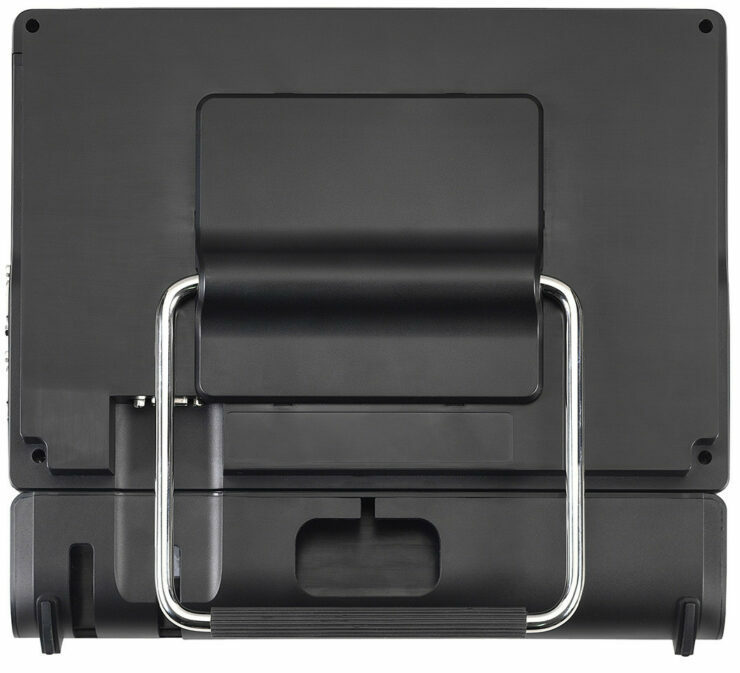 The stand is removable and doing so reveals a standard VESA mounting surface which enables the device to be mounted to walls or other suitable surfaces. The compact case has room for a 2.5″ drive (HDD/SSD) and an NVMe SSD in the M.2 format. A webcam, microphone and speaker, as well as WLAN, Bluetooth and Gigabit Ethernet, are already built in. Peripherals can be connected using the six USB ports and two RS-232 interfaces. The Recommended Pricing for Shuttles XPC Barebone P20U is 309.00 (ex VAT). and should be available now.